We still have a few, alright quite a few, first-aid kits left over from this summers conference. All the orginally $12 kits are now $6 and the $25 kits are $12. If you are interested in any of these let me know. We did sell a bunch at the October meeting but still have quite a few left. With Christmas just around the corner any one of these kits would make fantastic stocking stuffers. 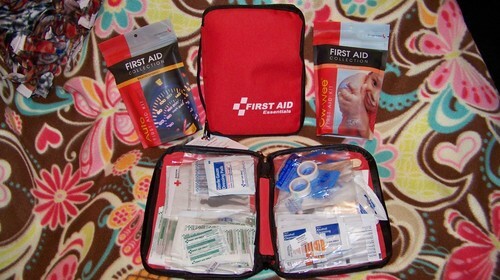 If you're interested in purchasing one or more of these First-Aid kits contact Jack at his cell number of 715-573-5444.